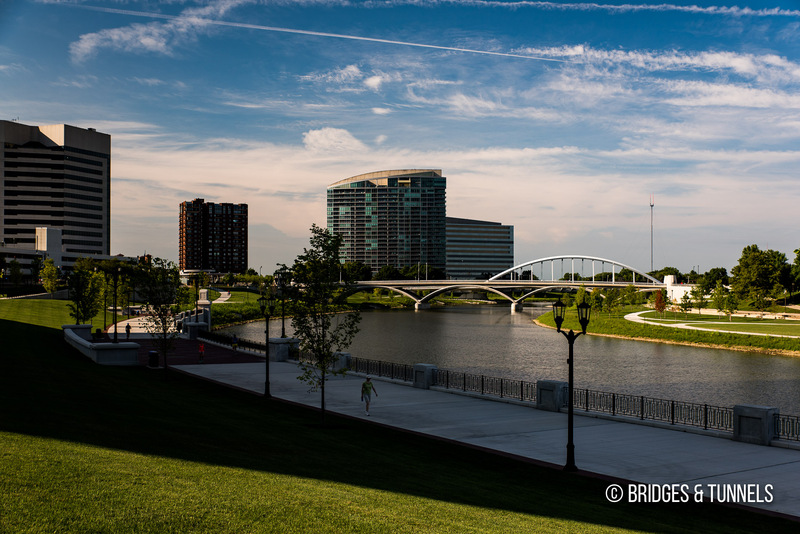 Rich Street Bridge is an open-spandrel arch bridge over the Scioto River on Rich Street and US 62 in downtown Columbus, Ohio. 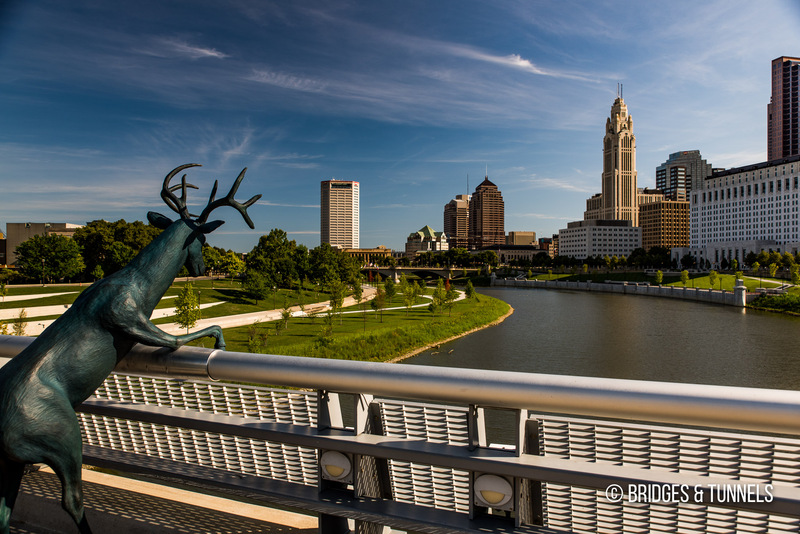 The original crossing of the Scioto River in the vicinity of the Rich Street Bridge in downtown Columbus was located along Town Street. The closed-spandrel arch bridge was constructed in 1917. 1 Due to structural deterioration, the Town Street Bridge was closed to traffic on July 22, 2008. 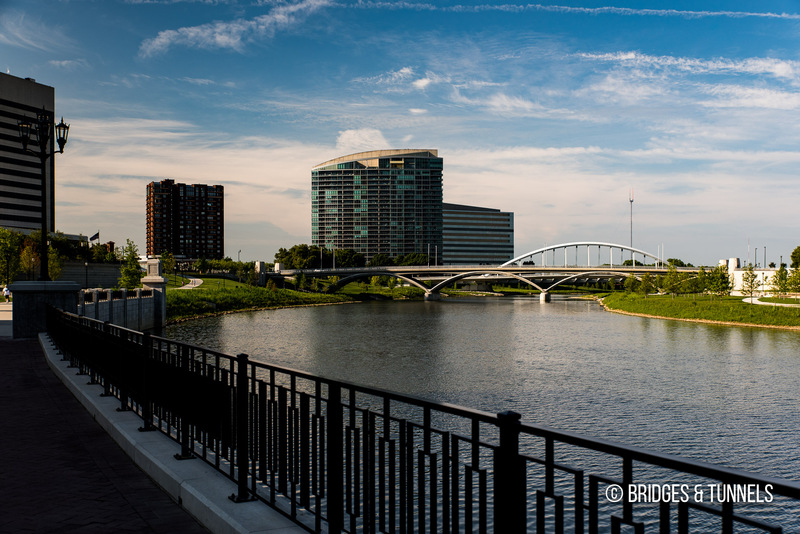 The new Rich Street Bridge was designed by Burgess and Niple of Columbus and was constructed by the Kokosing Construction Company of Westerville. 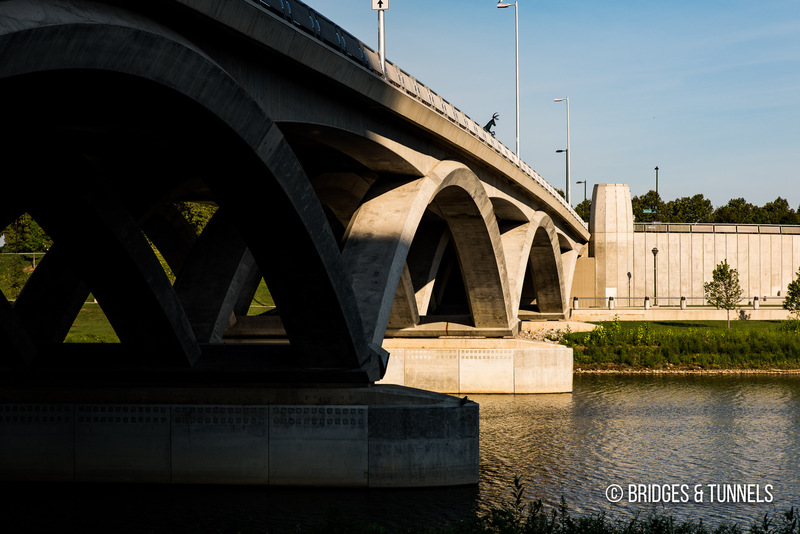 1 Work included the fabrication of precast concrete components in Grove City and the construction of a temporary rock causeway for pier construction. Eight temporary support towers were then used to install and stabilize 52 precast concrete segments and during post-tensioning operations. Kiner, C. J. 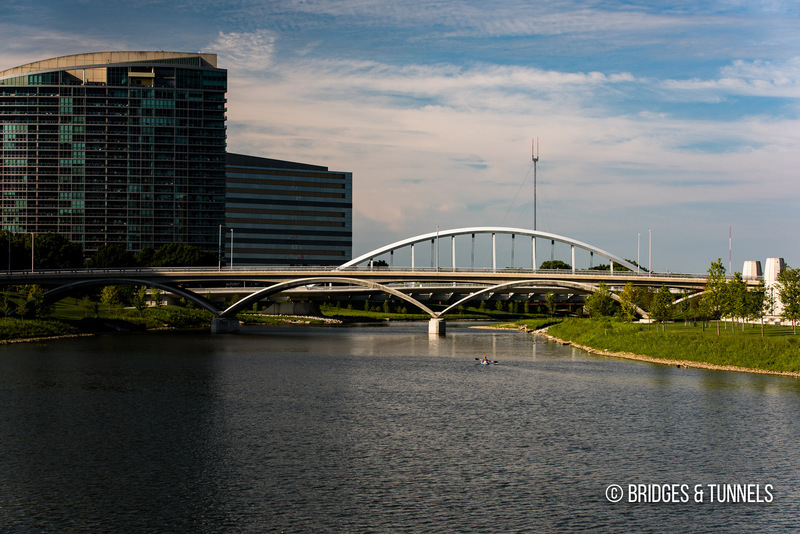 “Rich Street Bridge Project.” Aspire, Fall 2012, pp. 26-28. 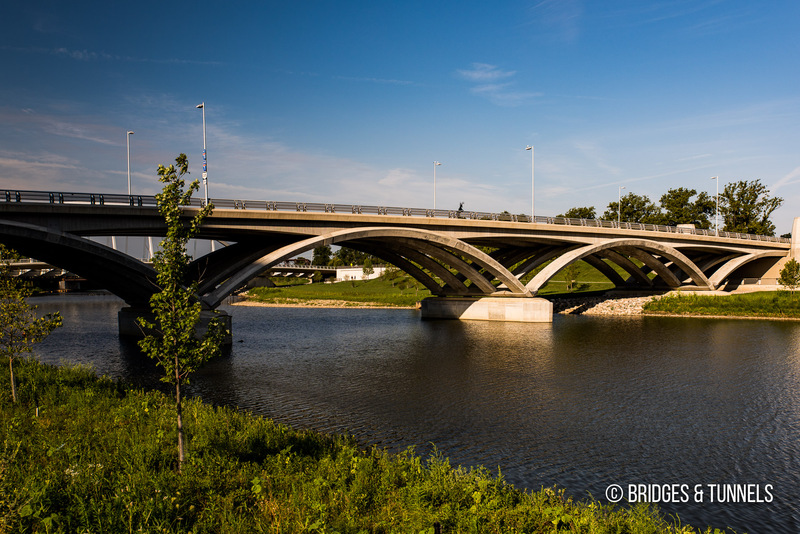 “Rich Street Bridge.” Finley Engineering Group, article. Evans, Walker. 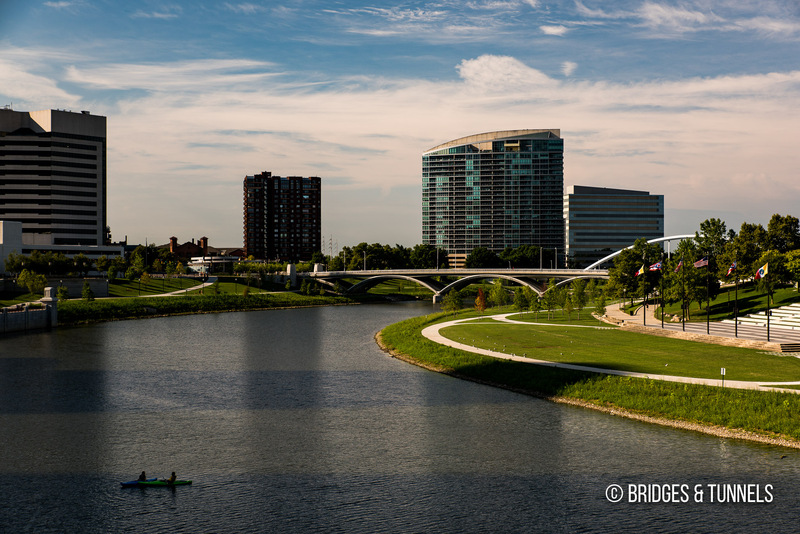 “Rich Street Bridge Officially Opens Downtown.” Columbus Underground, 6 Jul. 2012, article. “The Rich Street Bridge.” Burgess & Niple, article. “Construction Begins On New Rich Street Bridge.” 10TV, 16 Mar. 2010.